From the moment you step on our lot until the time you drive away in your next car, your buying experience with Cypress Auto Center is our number one priority. We encourage you to use the expertise and resources of our sales staff; they are here to help you find the right car at the right price. Call us today at 530-886-8003 to schedule your test drive! 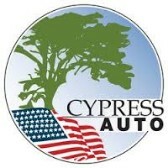 Cypress Auto Center gives you all the services under one roof. Sales, service and finance. We have been in business since 2002. Our Pre-owned inventory of premium diesel trucks get great care in our Service Department before being offered for sale by our easy-going but knowledgeable sales staff. These fully reconditioned trucks are made to fit comfortably in your budget with the help of our experienced Finance Department. Rest assured, our finance company has your best interest at heart. Honestly and integrity are major components of our business philosophy. We presently have over 40 lending sources available to us including being members of the Credit Union Direct Lending Program. We make every effort in finding the best lender with the best terms to meet your needs. 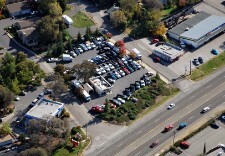 Cypress Auto Service Center offers the "small town" atmosphere to our clients. Our staff is glad to go the extra mile to make sure your needs are met. We are part of the community and proudly serve repeat customers who like having a friend in the automotive repair business. Our modern facility offers all the services a major shop does. You get the best of both worlds at Cypress Service Center.